Not so much a second edition as a reprinting of the main rules now that Kursk and the mini rulebook have sold out, but with an extra campaign, some datacards and a pulling together of all the special rules and generic scenarios from all our published campaign supplements. 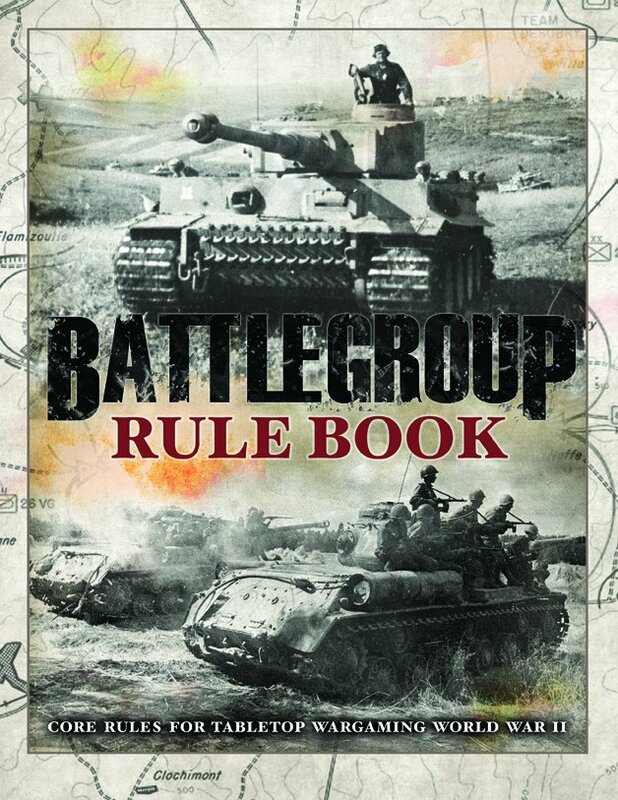 Whilst this remains the same Battlegroup game, there have been 3 small rules alterations. Aimed Fire with HE shells now has no -1 modifier to hit targets in cover. All Aimed Fire with small arms now has a -1 modifier to hit if the unit moved. There is also a -1 to observe units with the Sniper-Scout special rule. Area Fire is now called Suppressing Fire (but remains unchanged). The new extra campaign is a Normandy-based location-to-location campaign system and has scenarios and army lists for the Canadian 3rd Infantry and 12th SS Panzer Divisions, including all the vehicle and gun data required to get players started. A full colour 170 page hardback book plus 5 pull out inserts of quick reference sheets, battle rating counters and vehicle datacards with the usual high production quality Iron Fist Publishing is renowned for. A must have for veteran Battlegroup gamer and newcomer alike.